A large part of search engine optimisation is making sure that a website actually contains useful information. This may sound obvious, but it is often overlooked by designers and owners of websites. A car scrap yard may not be much of a tourist attraction, but it’s what the village of Pease Pottage in Sussex is stuck with. A lot of people want to find spare parts for their cars, and G & W Bridges is one of the largest scrap yards in the south of England. You might think that Bridges’ own website, www.gwbridges.co.uk would be the best place to find out about the scrap yard, but the search engines disagree. 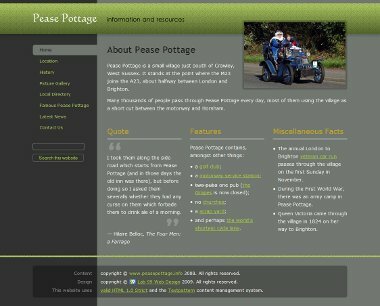 www.peasepottage.info, built by Lab 99 Web Design, is a source of general information about the village. Because it is not run for profit, nothing has been spent to advertise it. Yet it consistently appears higher in the scrap yard–related search results than Bridges’ own website. and gives proper consideration to keywords, the words and phrases people are likely to use when searching for information about a car scrap yard. It contains the barest minimum of information, and few appropriate keywords. 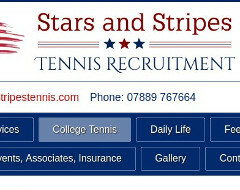 Search engines can’t see images, so you should ignore the differences in the appearance of the two pages. But which of the two contains more information? If you needed to find out about the scrap yard, which website would you want to go to first? Search engines are in the business of providing information that is relevant to people’s enquiries. So if you type Bridges scrap yard or Pease Pottage scrap yard into a search engine, you will be pointed towards a website which uses those phrases in preference to a website that doesn’t. As it happens, www.gwbridges.co.uk isn’t a particularly bad website. At least, it is no worse than the majority of websites. But in the search engine rankings it loses out easily to a properly optimised Lab 99 website. If you want a website that performs better than your competitors’ websites, contact us now!